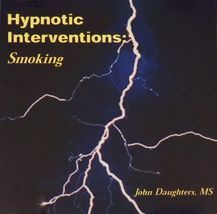 ​This handbook for professional hypnotherapists, by John Daughters, provides step-by-step guidance for the professional hypnotherapist who wishes to help their clients stop smoking. 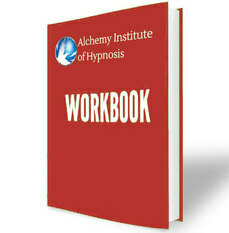 It is a valuable resource with proven and effective techniques that will not only help your clients to live healthier lives; it will help build your practice. 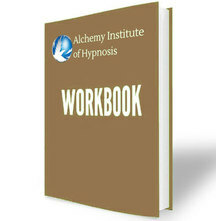 Recommended for all AIH alumni, and for any hypnotist. 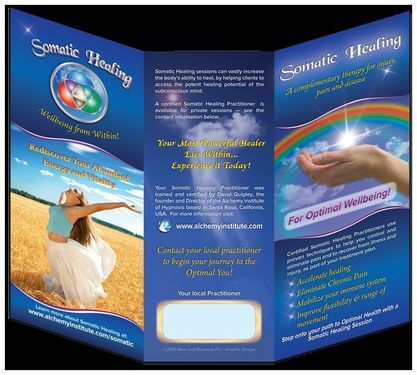 The Somatic Healing Practitioner Brochure was designed to explain Somatic Healing to potential clients and to the public at large. It covers many of the benefits of Somatic Healing (accelerate healing, control and eliminate pain, mobilize the immune system, etc. 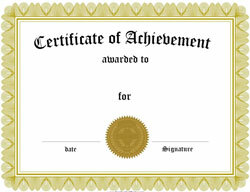 ), confirming Somatic Healing as a highly regarded complementary therapy taught around the world since 1997. 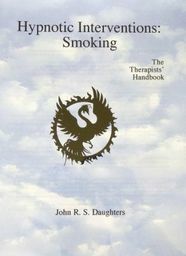 The primary protocols used in Somatic Healing are outlined, and personal endorsements are included. 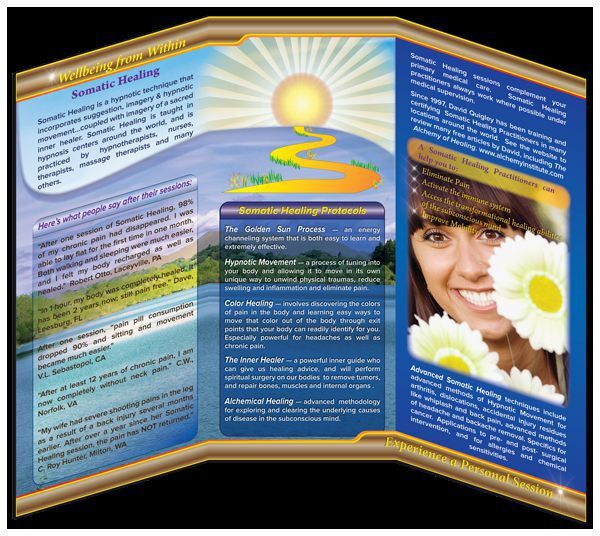 Full color, professional, glossy, 8.5 x 11 inches, and with uplifting positive imagery that is bound to spark interest in your practice. Ready for you to add your contact information on the back middle panel, by hand or with a standard size sticker or stamp. Further your career and grow your professional practice with Membership in the Practitioner Success Program. This Program is designed to help you reach your professional goals, with tangible career-building resources at super discounted rates.